Certified translations have their peculiarities which give rise to a lot of questions. On this page, you’ll find the most important details concerning the certified translation, sworn translator and apostille. The “certified translation” – or official translation – iincludes the statement of a sworn translator attesting the completeness and accuracy of the translation with regard to the original document. In addition to this statement, the signature and stamp of the sworn translator are also essential parts of the certified translation. 2. When is a certified translation required? In the case of official documents, public authorities, institutions and employers often demand certified translations. However, it may be useful to inquire about the specific requirements of your case. 1. Who is a sworn translator? Sworn or official translators are translators who have been sworn in (authorized/appointed) by a competent authority. For example, the Berlin Regional Court is in charge of authorizing sworn translators and interpreters for the Courts and Notaries in Berlin. 2. Where do I find a sworn translator? The Portal of Justice of the Federation and the Federal States offers a nationwide directory of sworn translators and interpreters. In the database of the Federal Association of Interpreters and Translators (BDÜ) you will also find sworn translators at a national level. 1. What is The Hague apostille? 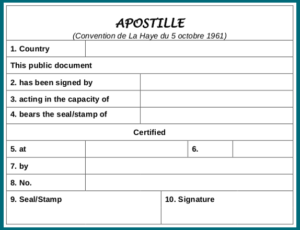 The Hague apostille is an international, simplified certification for the handling of offcial documents for foreign usage in accordance with the Hague Convention No. 12 of 1961. Here you will find a list of the Member countries of the Apostille Convention which have signed the treaty and accept the apostille. 2. When is The Hague apostille required for the certified translation? For certified translations, the apostille serves as a supplementary certification verifying the stamp and signature of the sworn translator. Whether an apostille certification is needed will depend on the specific case and target country. 3. Where is apostille issued for the certified translation? Generally, apostilles are issued by the Regional Courts. 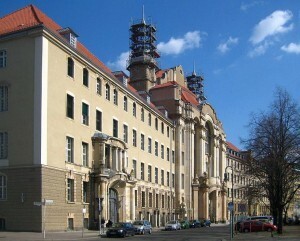 In Berlin, the authority in charge is the Office for Apostilles and Legalizations of the Berlin Regional Court in Littenstraße 12-17, 10179 Berlin. Note: I have compiled the information provided on this page to the best of my knowledge and belief. However, any liability or guarantee is excluded.